Back in April Echo & The Bunnymen's Will Sergeant revealed the band was "on the verge" of signing a new record deal which, if finalized, would likely see the release of a new album as well as an "orchestrated album." Echo eventually went on to sign with BMG, and now they've announced details behind their brand new orchestral album. The Stars, The Oceans & The Moon will feature 15 tracks - orchestral reinterpretations of classic Echo songs along with a few brand new tracks. Core members Sergeant and Ian McCulloch worked along with producer Andy Wright on the album, which is set to arrive May 18th. 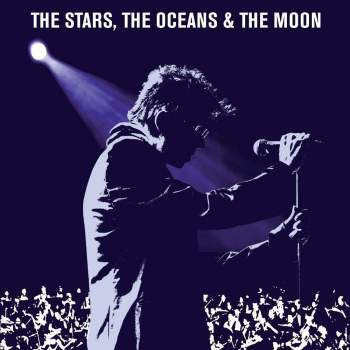 The track listing for The Stars, The Oceans & The Moon hasn't been announced, however pre-orders for the release opened today. Choose from a variety of physical formats - CD, double LP, double picture disc, limited edition test pressing vinyl, and cassette. All formats are available to pre-order now through the band's official store.